I am a fan of great design. When something has a beautiful aesthetic design that is also completely functional – for me that’s the pinnacle of design. I know that to most homeowners, this weed is the bane of their existence, requiring bags of chemicals and funny-looking tools to tame. I have come to appreciate their amazing design – to see that from not only follows function, but that functionality can be truly beautiful. I have always marveled at the intricate detail of it’s flower’s structure. So much geometry. The symmetrical seed ball is also filled with structure and geometry, a nearly perfect circle made mostly of air. As you get closer you can see the almost engineered structure that holds the whole seed system together. Dimples as perfectly spaced as any man-made golf ball. Here you can begin to make out the structure of the seeds – quite intricate with symmetrical barbs holding seeds to center. 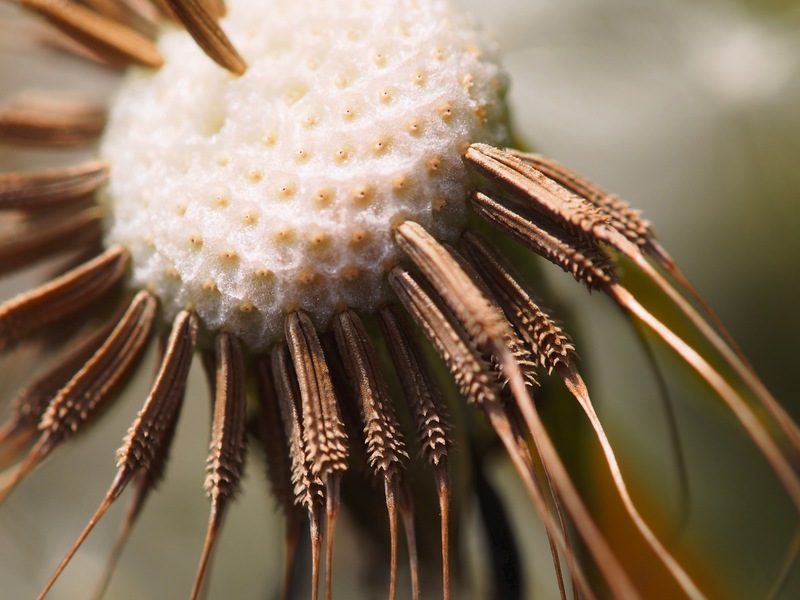 Now we see that the holes in the center actually have structure too – they have small “latches” that hold onto those seeds until just the right gust of wind comes along. 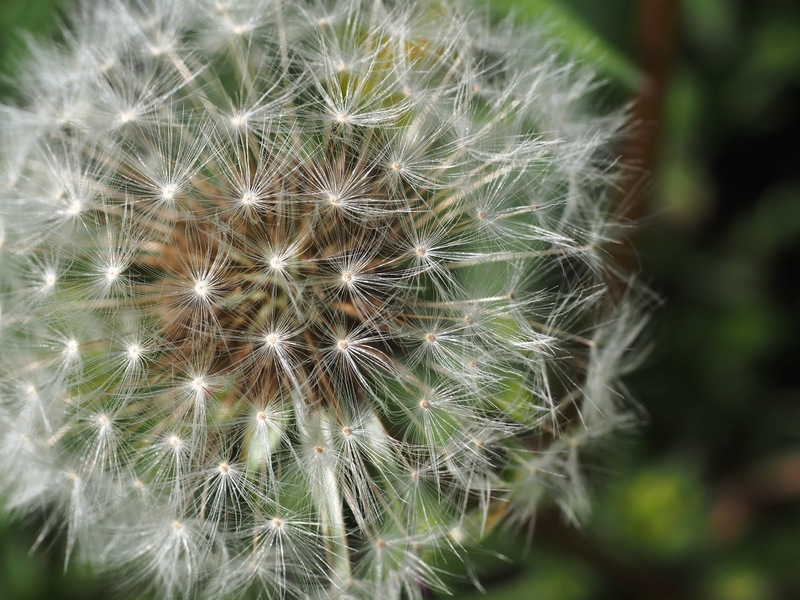 The seed of the dandelion suspended from the center of a pin wheel of very fine parachute. 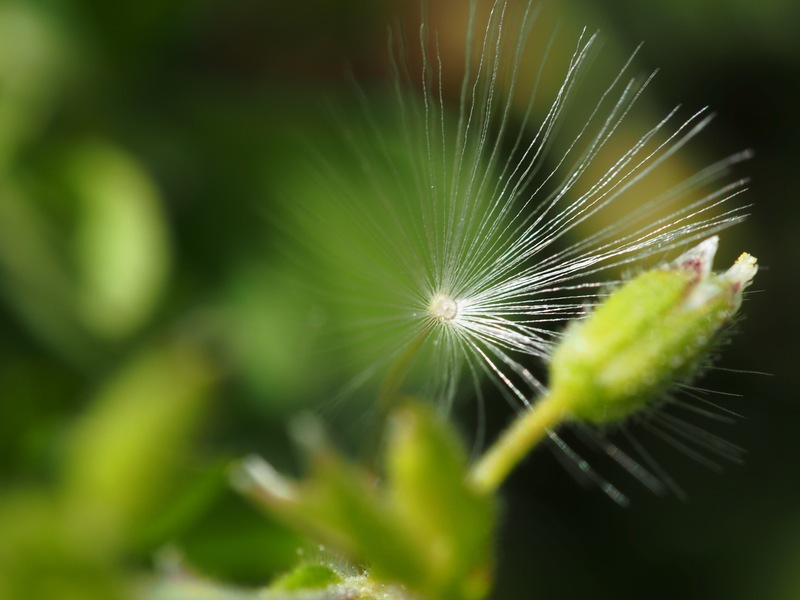 It not only keeps the seed airborne to scatter in the wind – it makes for a perfect landing with the seed down. When I lived in the city I fought the good fight with the weed. I would even treat my lazy next-door-neighbor’s lawn to prevent more from invading my little green space. After all, if I failed to take care of my lawn I would be bringing a pestilence upon my neighborhood. When I moved to the woods I recall that my neighbors chuckled when they saw me unloading a bag of “weed-n-feed”. They gently told me that what I was calling a lawn was really about 10% bluegrass filled in with wild clover, dandelions and any other ground cover that would grow out in the open. Over the course of the next few days I thought about the deer and birds and finally about my own well water and decided to embrace the idea of a wild lawn with no chemicals added. That first summer I learned to appreciate the dandelion and over the years I have explored it with better and better glass. The dandelion in all it’s glory. I have come to see the majesty in that well designed weed. This entry was posted in foliage, Macro Photography, Ozarks, Photography, Uncategorized, wildflowers and tagged Arkansas, dandelions, geometry, lawn care, macro photography, Olympus, Olympus E-M5, Ozarks, photography, weeds, wildflowers by artsifrtsy. Bookmark the permalink. Not only do I love dandelions to look at, but I love their scent. They’re lovely flowers, and I don’t care that they’re weeds. My husband detests them and pulls them out of the lawn at the first opportunity. I’m always sad about that. When I was a child, I had a couple of tortoises that loved to eat them. I still remember those toothless mouths and pink tongues eating their fill of dandelions. Thanks for these photos and your examination of a great flower (see, to me it’s a flower, not a weed), Lorri. I never thought about them having a scent. 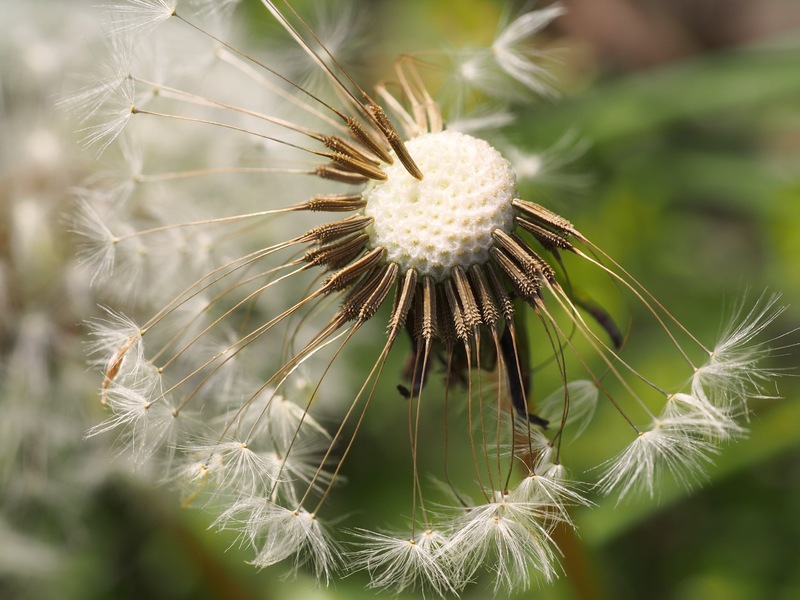 I was born without a sense of smell and mostly know about scents people mention, never heard about dandelions – another reason to love them. I had a desert tortoise as a child and I recall them eating dandelions too! I’m with you, they are not weeds. I love when their is a whole field of them, it’s magical. That last shot is from a field next door to the warehouse where I work, totally industrial, but it’s amazing when they all go to seed. I just love dandelion seed heads. They are that wonderful combination of strength and fragility (if you can say that). I think they make great photos too. 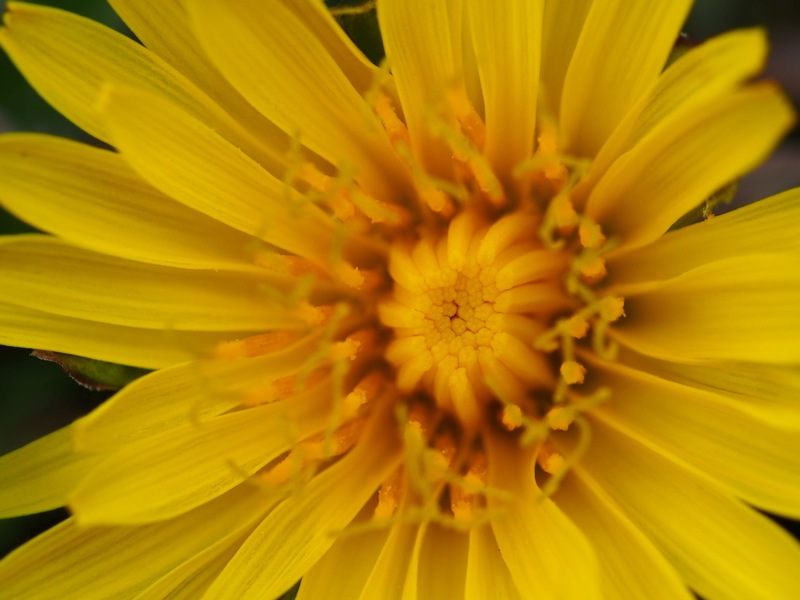 The funny thing about the nature of a weed, for all its bad reputation and invasive habits, it does serve an important purpose. 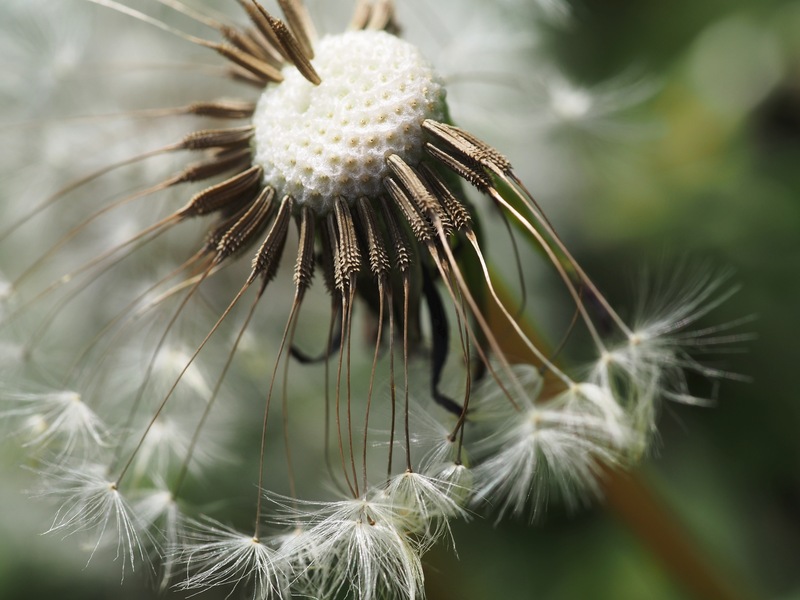 Covering ground depleted of nutrients, weeds can grow in the most inhospitable conditions to keep the soil from eroding and also provide a food source for birds and insects. No matter how many chemicals are poured, sprayed or dumped on all the golf courses and suburban lawns on the planet, once there is no more organic material left on the planet, weeds will be the only thing that survive. I loved dandelions as a kid. I’m sure I helped scatter them to the wind, much to the neighbors frustration. That is so true. In the Ozarks erosion is a big issue. Anything that holds down that topsoil is a benefit – plus they are fun to watch in the wind 🙂 I remember my grandpa chiding me for sending the seeds soaring – he was meticulous in his lawn care. That last shot is one I sell pretty often at shows. I think it was the first image I sold the first season I had work in a gallery. It was a huge thing – almost three inches across. I’m actually showing at White Street Walk this year – have you ever been? They convert the whole street to impromptu galleries. I have sold stained glass there before but this will be my first time there with photos. Sounds awesome. LMK when it is! Do you post shows on your fb? I usually post on my photography page. I have only done a couple since last summer. Awwww…..would love that….though you don’t owe me a thing! I got such a kick out of those photos! (In fact, am going to pick up a roll of “unknowns” today. Found after my mom-in-law passed.) Thanks, Lorri! Well I would love to send you one. I’m going to be on the road for the next 10 days – but I will send one out when I get back. I’m a landscaper, caring for the rich folks of Chicago. I recently got a call from a client who’s lawn was ‘full of weeds’. It was a sea of wild crocus. Here I had to have my herbicide girl dump a bunch of chemicals down on something I would kill for in my lawn. I too have a clover lawn and love it. I don’t mind dandelions, there are worse invaders. A weed is just a plant out of place. Thanks for views! I have seen those crocus lawns – what a shame that your client didn’t appreciate the effort and the time it took for that to develop into that colorful carpet. Clover is so soft. I mostly mow it when the neighbor’s bees get to assertive about the flowers – but it’s wonderful ground cover. Dandelions are a classic subject for close-up work but I can honestly say this little series still blew my socks off like seeing something in a different way. Very nice and enjoyable work, Lorrie. You had me especially hooked with your space station analogy, haha…. Beautifully photographed and described. There is a certain satisfaction coming from promoting the contrarian view. I really like this set of photos. The evolution is great and I agree with your take on design. Thanks – I have been wanting to do this for a long time – waiting for that windless day. Indeed it is. When I first moved in to my place, my neighbors used my lawn as pasture – that factored into my decision to let them be and not treat them with chemicals. Loved the piece and the photos. But I worry you might be arrested for the title. I enjoyed your photos and the close-ups flow. Hello. This is a great post both literally and metaphorically. As i was reading your words, I thought of things and people in my life that previously I considered close to ‘weeds’, that over more recent times have proved to be flowering angels and positive motivators. Thanks for the words – and the photography is stunning! (as per usual). Thanks – I hadn’t considered it as an allegory, but it works that way. Everyone (and every weed) has value. You have a great day too! 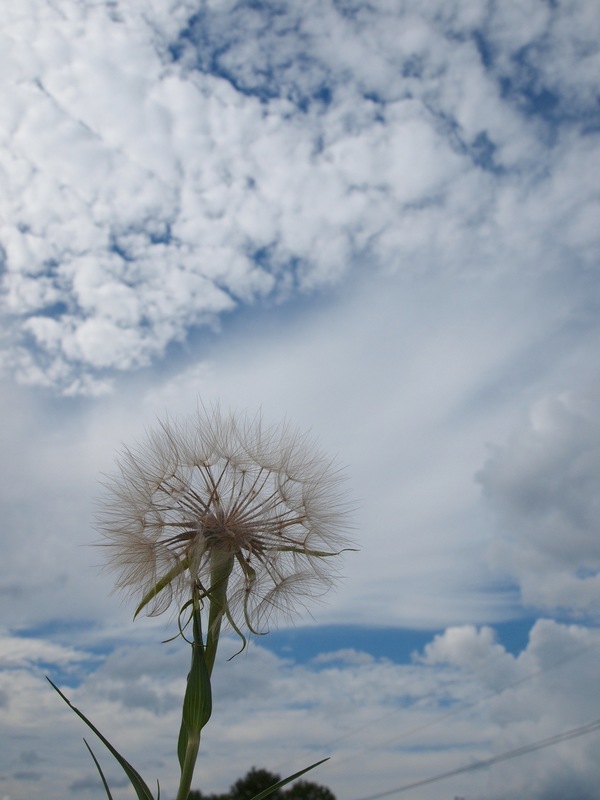 I’ve always liked dandelions. I think they’re just beautiful! I think you just saved a whole host of NY dandelions from and untimely demise – there’s no way I can kill them off now that I’ve seen them up close and personal! You have got an AMAZING eye! Very nice! I know exactly how you feel moving from city to town to country. I have a different view of the weeds. At my husbands old house, he used to say as long as he kept the tops mowed off, it didn’t matter because at 55 mph, no one notices the weeds, everything looks green. Now we live even further in the country with no drive by traffic. I try to keep the main yard around the house relatively weed free, but not with chemicals, by hand. I find it very therapeutic. This past weekend, to keep my son outside and busy, I had him pick all the yellow flowers in the grass. A futile battle sure, but it was a win for me. I love the levels to which you exposed us all to the dandelion. Like the song says, “If it flowers, it ain’t a weed”! I have found that a quick trip with the mower evens things out and it looks a great deal like grass 🙂 Back home I would never have tolerated one – now I’m running a dandelion farm. It’s OK though, they make for wonderful photographic opportunities. There is beauty in so many things that we commonly take for granted – thanks for sharing! Thanks – I think so too.